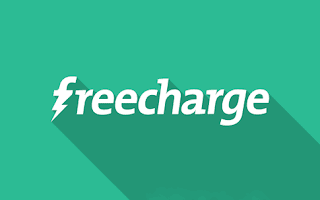 Freecharge Valentine’s Day Deal – Get Rs 12 Cashback on Rs 10 Recharge Voucher @ Rs 1 only. Freecharge – a best Online portal to Recharge your mobile or pay your bills on the Go. Now they are offering an awesome offer where you will get Rs 12 Cashback on Rs 10 Recharge Voucher at just Rs 1 Only. So Hurry up !! This offer is valid until 31st December 2017 and only once per user. Now just follow the below steps. 4.Rs.1 Deal – Now Just Go To Home Page Of The App & find The “Deal” Section. Purchase That Coupon In Just Rs.1 & Note Down The Promo code. 6. After applying code successfully, just Complete that transaction with debit card / credit card / UPI / Mobile Banking/Freecharge Cash etc. 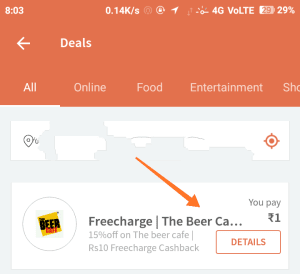 1) Offer is valid only on the latest FreeCharge Android App. 2) Valid on successful Recharges/ Bill Payments done only. 4) Valid on min transaction of Rs 10. Flat Cash back of Rs 12. 5) Unique Promocode has to be applied during.